As we all know, honey is a sweet substance made by honey bees from flower nectars. Honey is a good source of energy as it contains fructose and glucose. It is used in various food items as a sweetener and a flavoring agent. Apart from its taste, honey has lot of medicinal uses which I will be listing down in this article. Honey is a natural anti-oxidant and has lot medicinal and therapeutic uses. Most of the people prefer taking honey over sugar. Honey is also very good for eyes and skin. It helps in quick healing of wounds and helps in regulating the metabolism. I will be listing down few of the uses of Honey. 1. Honey forms a good moisturizer for dry skin. It can be used as a face mask when mixed with 2 egg whites and bit of flour so that it forms a thick mixture. Apply this mask for few minutes and then wash with cold water. 2. Honey helps in relieving cough and cold. Mix a teaspoon of honey with one teaspoon of ginger juice and a pinch of black pepper powder and take at regular intervals if your suffering from cough. This mixture will relieve the cough. 3. Honey also regulates metabolism and builds immunity if taken daily. 4. Honey is also good for hairs. For shiny hairs, mix some honey, lemon juice in some warm water for the last wash of the hair. Do not rinse and let your hairs dry. 5. Honey when mixed with apple pulp helps as a skin toner. Apply the paste of apple pulp and honey on your face for 15 minutes and then rinse it off. 6. Honey when mixed with oats, lemon juice, and finely ground almonds helps scrub your skin. 7. It also helps in relieving the arthritis pain. Mix one part of honey in 2 parts of like warm water. Add some cinnamon to it and apply on the aching area. It will help relieve the pain. 8. Taking 2 teaspoons of honey with luke warm water with some cinnamon added to it daily helps cure even the chronic arthritis. 9. Honey taken with cinnamon powder also cures stomach ache and also cures any stomach ulcers. 10. Honey is a great antiseptic and heals wounds. It releases hydrogen peroxide when applied on a wound which heals the wound. 11. Honey helps reduce the cholesterol. Apply paste of honey and cinnamon powder on bread instead of jam, butter, or jellies. Taking honey is healthier. 12. 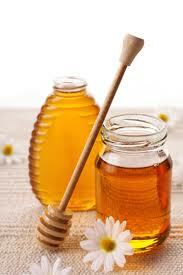 Honey also helps in weight loss if taken daily empty stomach in the morning with luke warm water and lemon juice. 13. It is also good for getting rid of mouth odours. Add honey and pinch of cinnamon powder in hot water and gargle with it. It will reduce the bad breath and you will feel fresh.